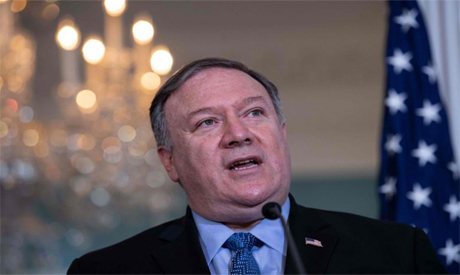 Secretary of State Mike Pompeo on Thursday again voiced optimism that a second US-North Korea summit would take place soon but said he doubted it would seal a landmark deal. US President Donald Trump, who held a historic summit with Kim Jong Un in June in Singapore, on Tuesday revealed that he had received a "great letter" from the North Korean leader and boasted of their relationship. "Lots of work that is left to be done, but I am confident that in the next short period of time President Trump and Chairman Kim will get the chance to meet again," Pompeo told Fox News host Sean Hannity, a prominent supporter of Trump. He said the summit would work to "truly create a much better, safer America with less threat of not only nuclear weapons being launched at us but nuclear proliferation as well." But asked if the next summit would lead to a lasting deal, Pompeo said: "I'd be surprised if we get all the way home in this meeting, although it would be fantastic if we did." Trump and Kim, in the first summit between the longtime adversaries, agreed to work toward the Korean peninsula's denuclearization but with little apparent agreement on what that means.